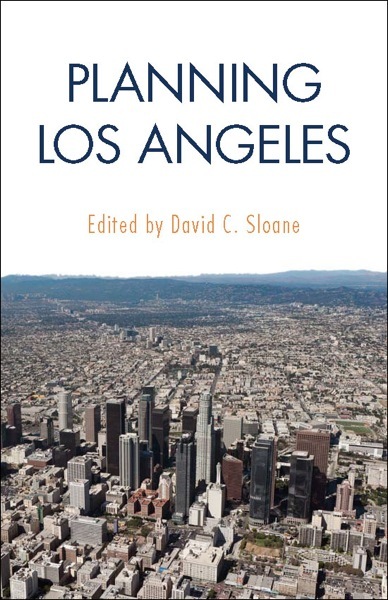 The annual conference of the American Planning Association is coming to Los Angeles, and in tandem, they have decided to do books on planning in the cities they are visiting. Planning Los Angeles is the first effort, and it’s quite nice. I’m impressed by a bunch of things, but one thing in particular: for a book that cost members $25, it has full color photos. The chapters came from writers around the region. I have a selection looking at the development of Measure R and what ballot box financing and politics means for transit. Here is a nice interview with David Sloane via Planetizen, discussing the book. APA has just put up a podcast here (also available through iTunes), along with a slideshow of some of the images. The book is available right now, and it will be shipping through Amazon and other vendors later this month. It will also be on sale at the APA conference, April 13-17, and on display at the Organization of American Historians conference in Milwaukee, April 19-22. There will be an event at the Huntington Library in San Marino on April 28.